We hope you had a super fun 4th of July! 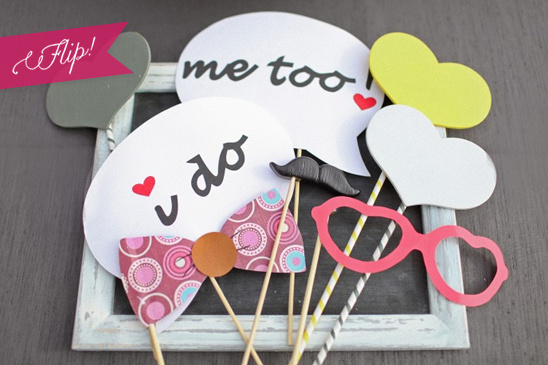 Today we have something fun and new for your wedding that your guests will go crazy over. Meet Flip! Mobile Animation Studio! Flip! makes seven second films and turns them into awesome little flip books creating a super fun and interactive event at your wedding. Each event can be tailored to your specific theme with custom backdrops, flip book covers, and props - like the fun props you see above. Taking the traditional photo booth to a totally new level. We know you are ready to Flip!. So if you are in the Southern California area, find out more about their packages and fun options by getting in touch with Flip! You really need to click Play below to really get the whole Flip! experience. Because Flip! is so awesome, we are glad to say that they are one of our Hand-Picked Members. To see their Hand Picked page, go here. Hand-Picked Members are at the top of their game and provide excellent services! These vendors are chosen because of their commitment to excellence, stylish and fresh ideas, and their overall fresh approach to weddings. To learn more about how our Hand-Picked Vendors are chosen please click here. Visit Flip!. 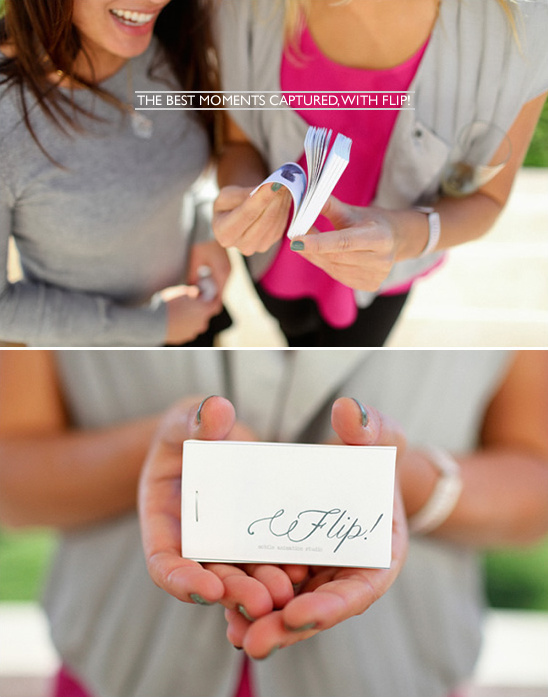 Like them on Facebook and be sure to tweet about how great Flip! would be at your wedding.